Before we find out, how to treat heel spur on the need to understand the essence of this disease. Heel spur - a disease of the foot, presented in the form of inflammation of the fascia, which supports the longitudinal arch of the foot. The results of the protrusion formed on the heel bone. Often, the inflammation affects the surrounding tissue, mucous bags and periosteum. To treat such disease can both traditional, and folk medicine. This takes into account the patient's age, his state of health and other individual needs. The main cause of this disease is the excessive stretching of the plantar fascia, including its mikronadryvy in place to fix the heel. As a result of developing aseptic inflammation, calcium salts are deposited and built-up edge is formed. This is due to being overweight patient, an increase in the tone of the calf muscles, long walking, jogging on a flat surface, etc.. Typically, a patient with spurs on their heels suffers longitudinal flat. The main symptom of this disease is a pain in the heel, which occurs in the morning or by relying on the foot, after a long walk, jumping, standing. 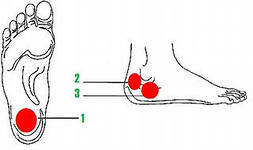 During palpation pain occurs when the pressure on the side surface of the heel. As for the X-ray symptoms, it manifests itself in the form of spurs. the use of prophylactic insoles arch support. Treat the disease is not recommended during pregnancy, as this may adversely affect the development of the fetus and the general state of his mother. In this situation, doctors are advised to do regular foot massage, change the driving mode, use special orthopedic insoles with soft pad. Many moms interested in the question, how to treat heel spur on children. The greatest risk of this disease have overweight children, rapid growth and the, who play sports. As known, child's foot ligament weak, so they can not long resist the high physical stress. To 16-18 s foot plastic and easily deformable, so the flat can occur quickly. Doctors recommend children to buy comfortable shoes. Thus it is necessary to take into account the anatomical features of each age. For example, for breaching the first steps, when a child has a fatty pad in the arch of the foot, you need to buy shoes with simple flat insole. With regard to the elevated level of the heel, then this figure should be 2 cm. This applies to those children, who were born with healthy feet. With the growth of the baby is necessary to buy the shoes, which carries out preventive function or contains orthotics. Such solutions are recommended to be taken with the treating orthopedist. In any case, it should be remembered, that the shoe sole must not be flat. If the child is put on worn shoes, then you need to replace the insole. In the case of a baby heel spur is necessary to seek medical advice. Otherwise, the child may be broken posture, appears scoliosis. How to treat heel spur to know doctors and traditional healers. There are several treatment methods. In any case, doctors prescribe the patient special gels and ointments. Buy such funds can be in a pharmacy. They are applied to the foot several times a day. In some cases, doctors prescribe the patient physiotherapy, which are aimed at improving the microcirculation of the feet on the foot, removing inflammation and pain. Well appointed massage leg and foot. The final stage in the traditional treatment of spurs on the heels of a course of mud application. As for ultrasound, laser and shock wave therapy, the latter technique is administered after removal of inflammation. This procedure is carried out once a 7 days for two months. This technology has the exact effect on the proliferation of bone tissue place. This is the most modern and effective method, which is to shock wave therapy. The basic principle of such treatment consists in exposing the spur ultrasonic waves due to the applied pulse. You can not use this technique during pregnancy, with blood coagulation disorders and oncology. This technique consists of exposing the focus of inflammation due to X-ray radiation. This also applies a high frequency current, laser therapy, magnet. Treat a heel spur may be via antiinflammatory and analgesic agents, for example, novocaine, hydrocortisone, potassium iodide. It uses electrophoresis, which gives these agents to the site of inflammation. With regard to drug blockades, they are made by injection. Perform such surgery procedures, since the risk of needle injury ligaments foot high. With the help of this technique achieved remission for several years. To treat heel spurs can be and with the help of anti-inflammatory ointment, trays, wraps and other procedures. How to treat heel spur to know and alternative medicine. To treat such disease should be in two directions, reducing the load on the affected limb, accelerating, in this way, healing process of microscopic. Not recommended for this disease to lead active lifestyles, especially the load legs. Therefore, we must comply with bed rest. Do not wear gravity, carry your body weight on one leg, jump from the stairs, wear shoes with heels and flat soles. Another important condition for the treatment of spurs on his heels is to ensure good ventilation the lower extremities. If you can not be at rest, then you need to regularly monitor and care for your shoes. Shoes should be purchased only from the instep. The trauma clinic, you can buy the most suitable insole. It is recommended to put a heel on the "medical bagel" with a view to removing the load from the fixation space heel fascia. Or you can make a hole in the inner part of the sole. To reduce inflammation, improve tissue regeneration and soften sprawl, removing pain, It needs to take a warm bath with different additives. They need to do before going to bed. Keep your feet in the water required for 30 minutes. The water can be added iodized salt with the following proportions: 3 large spoon 1 litere of water. Further, procedure, Related topics, to treat spurs on heel is on the application of different therapeutic compositions. Usually used raw potatoes. This will require cutting tuber in half and tie them to the foot before going to bed. Similarly applicable fat. When used in such applications compresses, treatment lasts during sleep. This will require Grate radishes. The resulting composition is placed on the gauze and the leg pribintovyvayut, top wear clean socks. This wrap is removed in the morning. There are also more aggressive techniques. For example, with the help of raw egg, 3-x tablespoons 70% vinegar and 150 g melted butter prepared tincture. These components are thoroughly mixed, are covered and left for several days tinctures. Then in a compress is applied to the affected part of the skin on 20 minutes before going to bed. Dry heat at night - this is another effective method in the fight with spurs on their heels. Originally need to heat the bag with sand, Apply it before going to sleep at the foot. For its fixation on the leg is put on socks. To accumulate heat and have a positive effect on the body is recommended to use baking foil. Chicken bile - for the preparation of this tool will need to mix 40 g chicken bile with 20 grams of vodka, adding 5 g shampoo. Feet need to soar in hot water over 15 minutes, then to the sole of the foot is applied a linen napkin, impregnated with this mixture. Then put on the sock on the foot. The compress should be worn 8 hours. It is better to put it on the night. Tincture onion - onion peel to pour vinegar given proportion 1:1. This mixture is brewed for 2 weeks. The resulting product is used as a curative for mass compresses. It should be imposed on the patient foot thick 1 cm, covered with oilcloth, and put on warm socks. compress hold 8 hours, so it is recommended to put it on the night. Conduct such procedures need to recover, but not more 6 times in a row. Otherwise, you need to take a break, putting on the feet nourishing cream or a special oil. Iris Garden - crushed in a blender 300 Mr. garden iris root. Then the mixture is poured 300 ml of medicinal alcohol and tightly closed by a cover. Infuse means necessary for 15 days in a dark place. Use infusion needed to compress: gauze wetted tincture and is applied to the foot. Making such procedures need in one day. During the breaks should be imposed on the foot appliqué of petrolatum. The course of treatment lasts 10-20 days. Nuts - each day is recommended to make a paste of ripe walnuts nuts, applying it to the patient heel and drain in the form of application. Is applied on top of the parchment paper and plaster. This means you need to leave for the night. The course of treatment lasts until complete recovery. In question, how to treat spurs on their heels, a significant role played by the prevention of the disease. 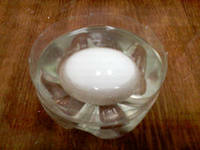 To this end, once a week to do a relaxing bath and the bath salt and essential oils. Twice a week is recommended to do foot massage with massage cream or oil. Wear comfortable shoes should only be. It is not recommended to wear shoes with high heels. Otherwise, increase the tone of the calf muscles, including foot deformities. You also need to ensure that, that on foot is uniformly and dosed load. With flat feet is recommended to apply shoe orthotics.